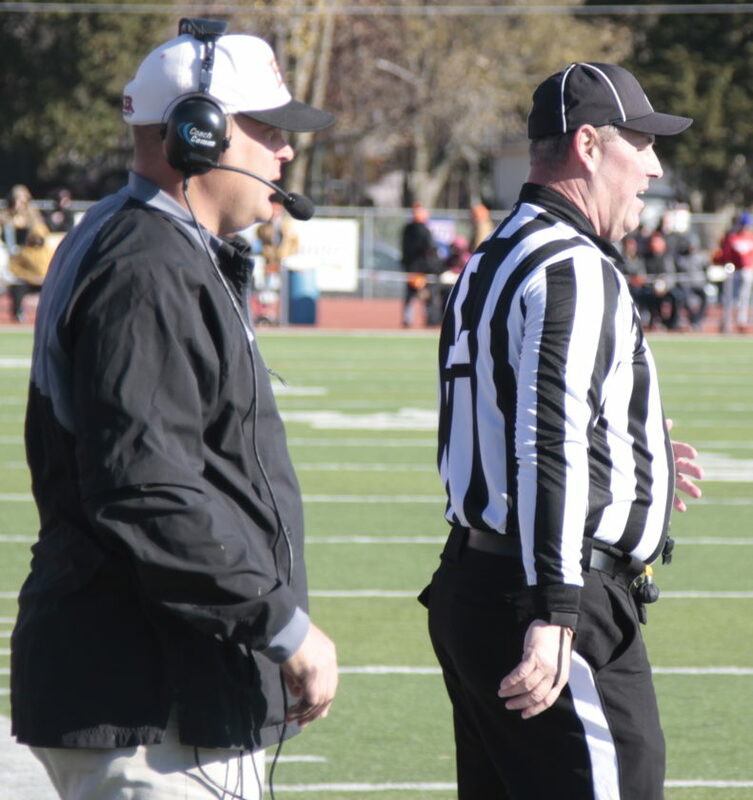 Baker defensive coordinator Jason Thoren watches from the sidelines during the Wildcats' 44-21 win over Sterling Saturday at Liston Stadium in the first round of the NAIA playoffs. Thoren — who was a standout linebacker at Lawrence High and Kansas — has the Wildcats holding its opponents to 18.25 points per game. The powerhouse Baker University football program will be under new leadership in 2019. Exactly who that leader will be remains to be seen. BU Athletic Director Nate Houser on Tuesday night announced that Baker assistant coach Jason Thoren, a former all-league and all-conference linebacker at both Lawrence High and the University of Kansas, has been named BU football’s interim head coach, effective immediately. Citing the move being “a personnel matter,” the release said there would be no further comments regarding Grossner’s departure. Houser said a national search for a new full-time head coach would begin immediately, adding that he had “complete confidence” in Thoren’s ability to maintain the program’s recruiting, academic focus and efforts in strength and conditioning while the search is conducted. It has long been believed that Thoren, who just completed his 15th year as an assistant at Baker, would be a candidate, if not the favorite, for the job whenever Grossner left. Thoren has served as BU’s defensive coordinator for 14 of his 15 years with the Wildcats, consistently coaching a group that ranks as one of the top defensive units in NAIA and helping lead the program deep into the NAIA playoffs on several occasions. He has been named the Heart of America Assistant Coach of the Year three times (2016-18) and coached eight defensive players to NAIA All-American honors. The Baker defense also has finished in the Top 10 in at least one defensive category in every season since Thoren took over. Before coming to Baldwin City, Thoren spent three years as a graduate assistant with the offensive line and tight ends at the University of Minnesota under former KU coach Glen Mason. In the two years after finishing 14-1 and losing in the NAIA FCS national title game in 2016, the Wildcats finished 10-2 in 2017 and 9-3 in 2018, reaching the NAIA FCS playoffs each season.